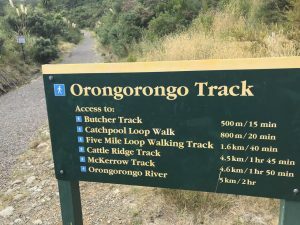 The Orongorongo track is part of the Rimutaka Forest Park and compromises several different walks that are great for kids just starting out on their tramping adventures! The paths are really well maintained and apart from an initial climb up from the Catchpool car parking area, they’re relatively flat with a few parts that are undulating but nothing too strenuous. As per the signage, walks can last from a 15 minute trip to the longest 2 hour trek (oneway). These times are for the slowest of walkers so you might be able to do them in half this time if you have enthusiastic walkers with you! All walks follow the Catchpool Stream and are shaded by the bush. There’s an old Rimu tree to look out for and native bird calls to listen to. The tracks are shingle and drain quickly after rain so shouldn’t be too muddy. They’re wide enough for a buggy but it would be a bumpy ride for the passenger with lots of tree roots and the some bigger stones to go over. Babies or small children might be more comfortable in a carrier. You’re best to take enough food, water and snacks for everyone and enjoy a picnic somewhere on your tramp. 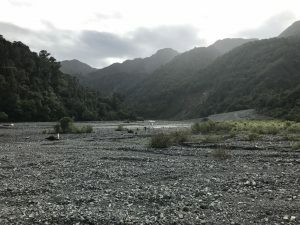 If you’re doing the Orongorongo River walk, the river makes a great picnic spot and it’s even possible to paddle or go for a dip if it’s warm enough and there’s been enough rain to fill the river. There’s the option of booking a hut through DOC for kids that can walk to the river (and beyond!) and spending the night in this forest. The huts are sole occupancy which means that you won’t have to share it with strangers and have a good range of basic supplies like eating and cooking utensils. You’ll need to take your own food and sleeping bags. For more info on where the huts are and availability, check here (click on ‘huts’ for the full list). 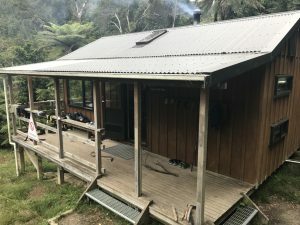 It’s worth noting that huts are spread out along the Orongorongo river and can add up to another hour plus onto the initial walk to the river from the carpark. Check if the hut you’re booking requires river crossings as the timings can be significantly increased if there’s been heavy rain. For a closer, more easily accessible hut, try Turere Lodge. There are toilets in the carpark and again at the Orongorongo River, as well as at each hut if you have a booking. 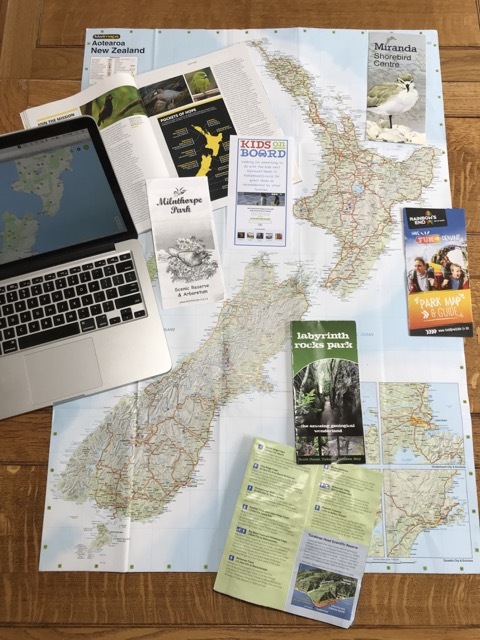 Address: The Catchpool Valley and Orongorongo Valley are accessible from the entrance and carpark off the Coast Road, 12km south of Wainuiomata. Open: The gates are locked each night so make sure you arrive and depart between these times: October – April (summer) 6am – 8pm or May – September (winter) 6am – 6pm.